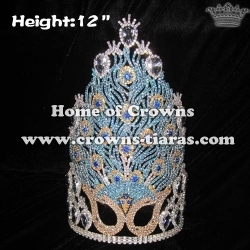 This is the 12in beauty mask peacock crowns. 10in 14in 16in 25in height can be done if needed. Color can be changed as request also. Please contact back if meets your interest.